EGuard DCC Aluminum is an extremely durable, high performance coating specially developed for all types of HVAC/R heat exchangers. Our high solid, Low VOC, polyurethane formula penetrates deep into all areas of the coil, forming an extremely thin (1 mil. ), yet durable layer of protection that does not impede airflow or negatively effect performance. EGuard DCC Aluminum is impregnated with 30% aluminum flakes which increases thermo-conductivity and maximizes heat transfer. EGuard DCC Aluminum has passed a 10,000 hour salt spray test, proving that our formula will stand up to the harshest environments and deliver the highest level of protection and long lasting durability to keep your equipment operating at peak performance. Additionally, our polyurethane formula cures fast and will not crack and chip over time like epoxy coatings. 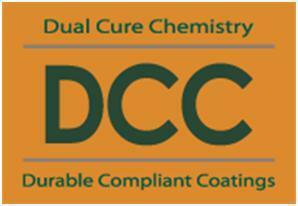 EGuard DCC Aluminum is an anti-microbial formula that resists dirt and dust adhesion, thereby reducing the presence of micro-organisms such as fungi, mildew, stain causing bacteria, and algae which can add to the corrosion process and cause unwanted odors. 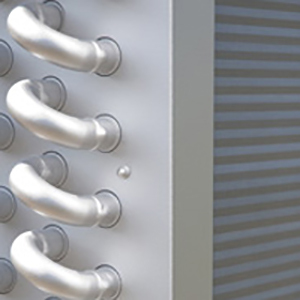 The application of EGuard DCC Aluminum to HVAC/R heat exchangers not only protects and extends the useful life of equipment, it also maximizes energy efficiency and reduces operating and maintenance costs. EGuard DCC Aluminum can be applied before assembly of the unit, before or during installation or even years after installation as part of our Rejuvenation Service.